I’m currently studying International Relations at Faculty of Political Science, Chulalongkorn University and Law at Ramkamhaeng University. I’m interested in the role of Youth Ambassador because my ideal future career is to be human rights defender. I expect that this role would deepen my experience and knowledge, widen my vision and strengthen my skills. My life is guided by the guiding light of belief that a simple man can make the world a better place. 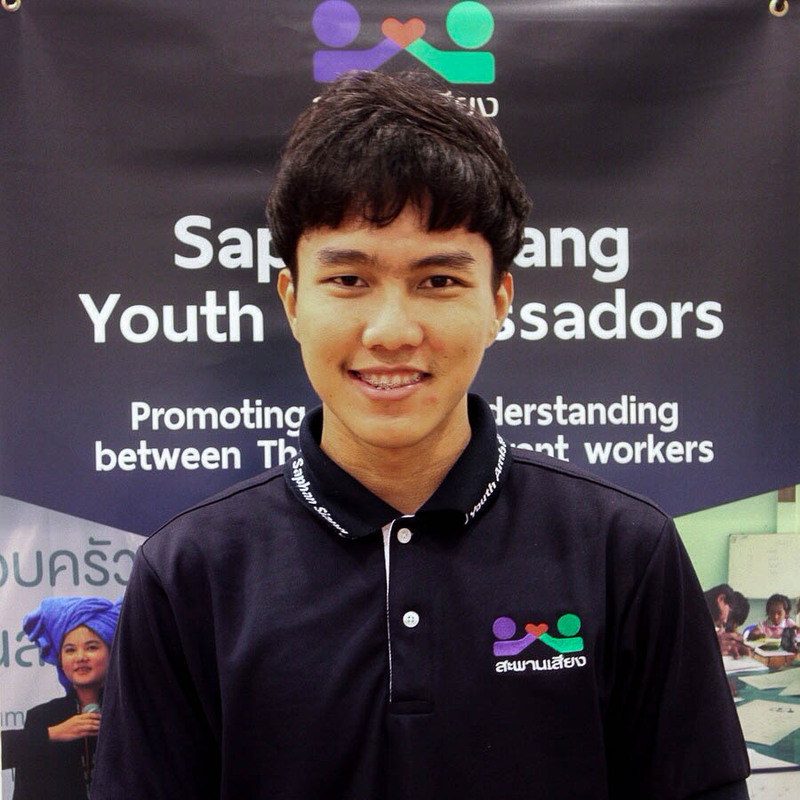 Being a Youth Ambassador is the beginning of my becoming a man who can better the world of migrant workers in Thailand. I expect to learn three different things from the program. Firstly, I would like to understand each issue that migrant workers face and how to help them creatively and effectively. Secondly, I want know how can we improve the image of migrant workers in the society. Lastly, I would like to observe how NGOs work to promote human rights in our country and probably worldwide.